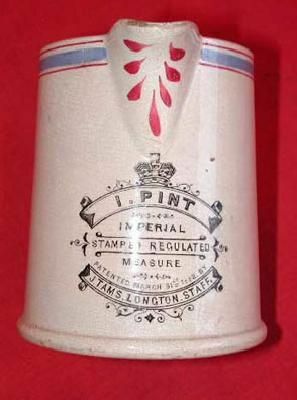 Unusual patented pint measure made by J. Tams, Longton, Staffs., dated March 31st 1882. The base has a lead excise stamp inset. 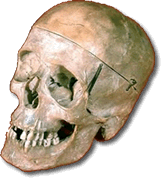 In good general condition, noting some crazing.